Take The "A" Train: Comments on a Phoenix Called Hawk! He is not only his own soloist, but his own harmonist and his own rhythm section as well. 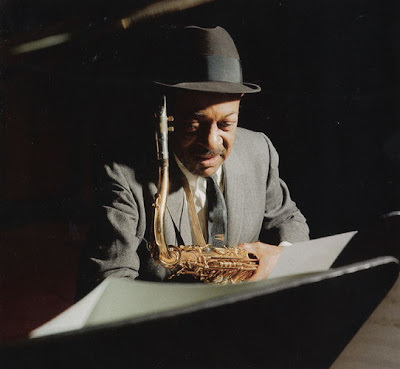 He is Coleman Hawkins! 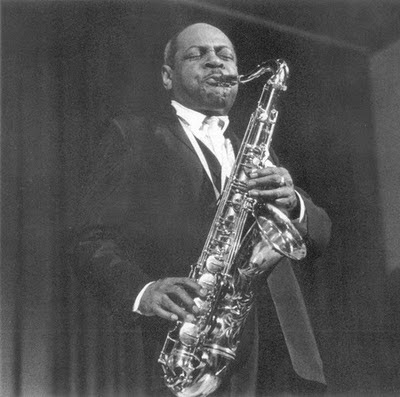 masters like Miles or Trane, but my guide to the true spirit of this music was no one but Coleman Hawkins. Hawk reminds me of that Mowlana (or as some says, Rumi, the Persian mystical poet - 1207-73) conception, that we all have been Adam’s children and we all have heard these tunes that mesmerize us, some times before we were born in Eden. 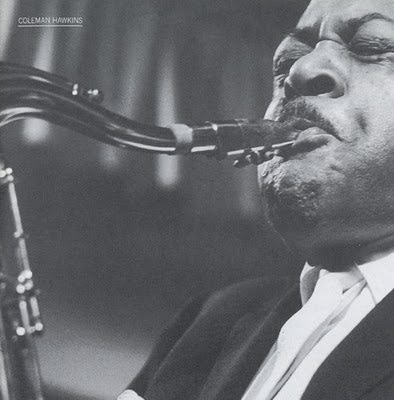 And that’s the truth about Coleman Hawkins and his heavenly sounds. It's quite familiar in every note, like we have heard them before, long before birth, and at the same time it has the pleasure of discovering a totally new thing. So everybody in the jazz world must sooner or later come to Hawk. And everybody his his or her own way of discovering his sound. He was musician’s musician. Every new jazz fad came, Hawk was standing there like a tower. Even during the time of major changes in the mid-forties, the avid bebop partisan accepted Hawkins as a part of their world. "One might call Hawkins a thorough professional, but he was also a major performer and he belonged to a generation in which these two things might go together as a matter of course. Periodically Hawkins also seemed to rediscover himself. He listened to everyone, but however much his own playing reflected what he heard around him, Hawkins remained Hawkins," says Martin Williams about the first decades of Hawk's musical life. A couple of months ago we talked about Hawk’s homecoming from Europe and how Herschel Evans’ death hit him pretty hard. 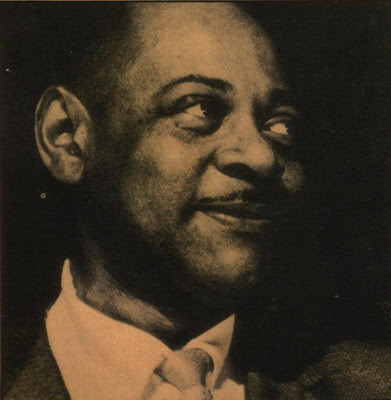 Mr. Williams also talks about this critical period when Hawk became the tenor saxophonist we know today: “When Coleman Hawkins returned from Europe in 1939, he entered his great period as a jazz soloist. He had continued to expand his basic harmonic techniques. He had come to terms with his own lush and sentimental temptations, which means that he had learned to sustain a true lyric mood and therefore no longer needed the sometimes forced and usually brittle edge to his tone that he had apparently found necessary before. The sharpness of vibrato heard on One Hour cannot be heard on Body and Soul. Body and Soul (1939) is the accepted Hawkins masterpiece. The record reveals not only Hawkins's knowing use of increasingly sophisticated techniques but his brilliant use of pacing, structure, and rhythmic belief. He saves his showiest arpeggios, opening melodiously and introducing implied double-time along the way. He uses arpeggios and cyclical patterns of harmony, much as they were J. S. Bach's in certain moods. From mid to late career of Hawk, he succeed in combining the robustness of his early work with a sophisticated melodic sense and a touching, almost nostalgic lyricism. 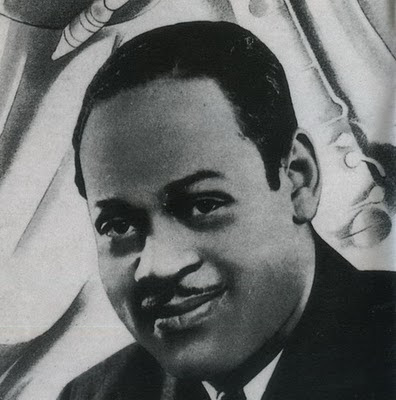 The choruses seem also to have been highly influential: they outline the essentials of the style used by Herschel Evans and his associates and successors, Buddy Tate and Illinois Jacquet. It is possible that this so-called Southwest tenor style was first expounded by Coleman Hawkins in a New York recording studio! Hawkins in the fifties is my Hawk. During that period he seems to me at the pick of his artistic creativity. Straight masterpieces like I Never Knew and La Rosita from Hawk Eyes (1959); September Song from The Hawk Returns (1954) are few among so many. His Hawk flies high LP with Idrees Sulieman is one of the most lasting musical companions I ever had. Every moment of Night Hawk (1960) is a revelation, if we don't talk about his majestic encounter with Sonny Rollins in 1963. Not long ago listening to a live recording from 1962 [Bandstand 18003] changed my life once more. There was a 14-minute long Joshua Fit the Battle of Jericho who made me cry and another 21-min mind-blowing jam, Disorder at the Border. 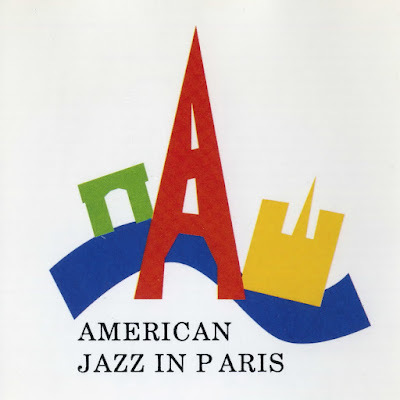 His right arm on this live session was Roy Eldridge who Martin Williams identifies his sound as a synthesis of Hawkins and Louis Armstrong, plus the youthful challenges of Beiderbecke and Red Nichols. Maestro's 106th birthday special update, November 21, 2010. All Martin Williams' quotations from Comments on a Phoenix, Jazz Tradition, published by Oxford University Press. I love reading about Hawk and I always appreciate meeting anyone, who loves him and admires him as much as I do! Keep me posted on anything connected with the Hawk and check out my blog, if you like, I've got some stuff on Hawk myself! I have another very extended Hawk post that is coming in a month or so. Thanks Martin!